Posted by Derek Hughes on 28th March 2019. 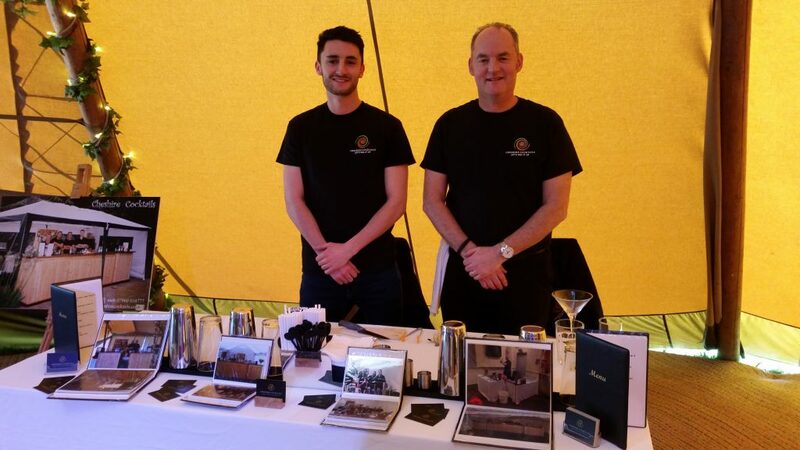 Last Sunday we were invited by Bouquet and Belles to attend a wedding fayre to promote Cheshire Cocktails as the perfect bar for weddings. This was held in a lovely marquee provided by tipimarquees. 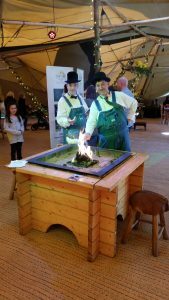 We were able to set up our “pop up” mobile cocktail bar in one of the tipi’s a perfect setting for Cheshire Cocktails, the weather was kind, dry, sunny in fact a perfect spring day and the tipi was lovely and warm inside. The first happy couples started to arrive at 11am and it was busy for a while, but very enjoyable talking about our business and discussing all the services that we can offer. The options are endless to suit every occasion and budget. Some couples want us to provide the whole service on their special day; for example serving the welcome drink of choice, providing wine, waterand coolers on the tables and a “toast” drink to celebrate the happy occasion, as well as the comprehensive mobile bar service. Other couples just want us for bar services only, all designed to suit the occasion. There were many different wedding suppliers on the day, either inside or outside the marquees and using part of Holt Lodge Hotel. There was a diverse display of wedding services and the Laurel and Hardy look- a- likes were particularly entertaining, with their clever fork and card tricks. They moved around keeping everyone laughing with their hilarious anticsand making the event really fun. The wedding fayre was busy for most of the time with a steady footfall of couples looking for ideas for their special day. The wedding fayre ended at 3pm with all the suppliers packing up at the same time and then able to enjoy the beautiful weather for this time of year. Looking forward to being able to do this all again. Until the next wedding fayre! Laurel and Hardy look -a-likes!